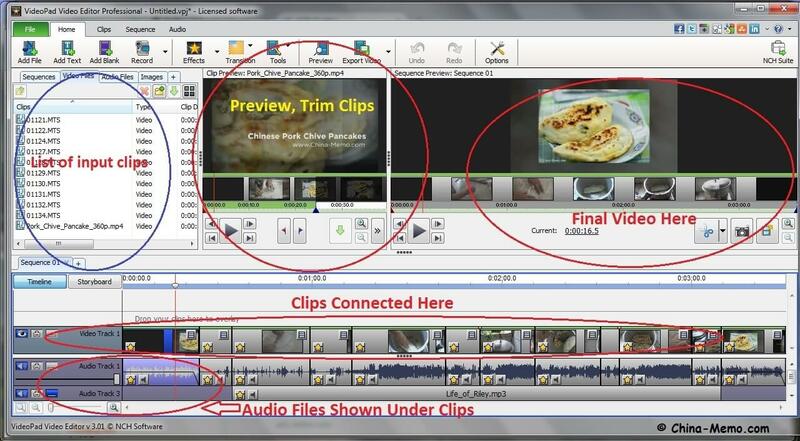 This page is about Review VideoPad Video Editing Software, an easy video editor for anyone. 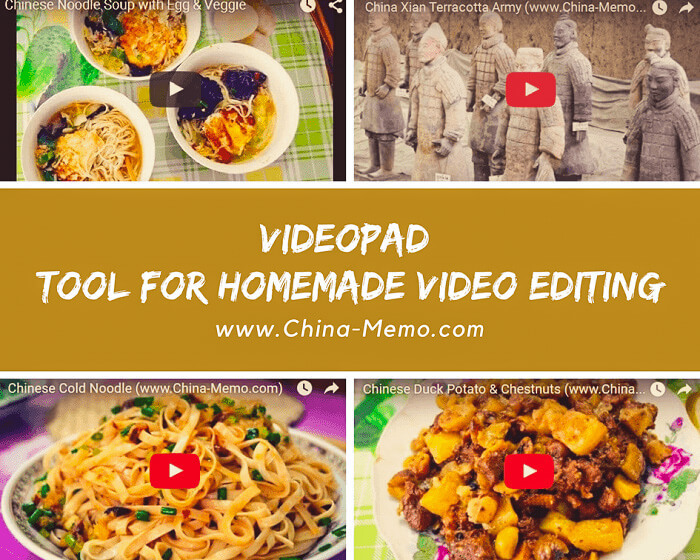 Here I explain how I use videoPad to edit our Chinese home cooking videos for my Youtube channel. 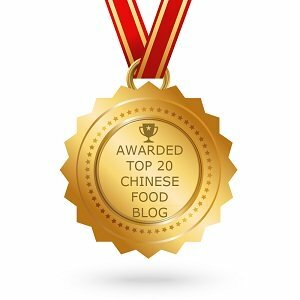 One of my friends asked me about how I made those Chinese home cooking videos. So I decided to write a page about this and hope it will be useful for others. 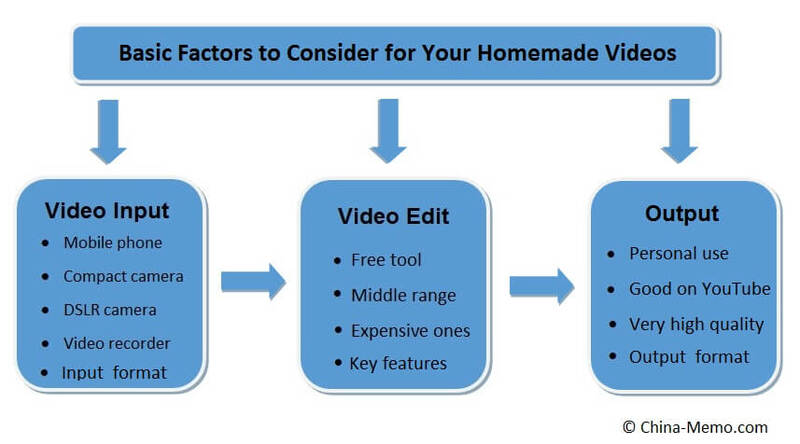 When I started to make home cooking videos, I had no idea about the video editing software. There are so many options out there. It was very time consuming even just to check all those reviews for the video editor, plus trying to figure out what was the best fit for my purpose. So here are my own steps for finding software based on my purpose, and how I used this software. I also include some screenshots for the demo and pros & cons at the end. Hope this can help you to make a quick start to make videos. This page contains the affiliate link, but the review was based on my own experience and honest personal opinions. Other users may have different views, so you may look around other available reviews and decide whether it is for you. For those who don’t know about VideoPad, it is the video editing software which can quickly process and edit the videos. It is easy to use and can create good quality videos in a short time. You can import video clips in different formats, such as from either mobiles, compact cameras or video recorders. VideoPad provides many features. What I often used include: video trim, transitions with effects, adjust the brightness or contrast, change speed and add subtitles. I also add the audio file, such as music file (.mp3) to be used as the video’s background music. Other features I haven’t used but can be useful, such as recording your own narrative, say if you want to explain things in video rather than just playing background music. Once you finish the video editing, you can share the video online from the software interface, but I never used this because I normally save the final version to computer then upload to Youtube. From my own experince, VideoPad is an efficient video editor for those who have zero experience in video editing. It is good for a beginner who wants to get a video done as quickly as possible (based on a short learning time). Plus, who does not want to invest too much money to start with, do not require too much on visual effects (simple looks, not fancy ones, in my opinion). If you have some experiences, or want to add something more fancy looks to the video, you may choose or combine with other video editors (as I explained later for Pros & Cons. Whether it is for you? It will depend on your purposes of making the video. • For personal use. You may have some clips for your family or friends recorded in your mobile, and you want to make a video for your own memory or to share with friends online. If this is why you want to make videos, then you may not need spending money on the video editing software. There are many free online tools, such as YouTube Video Editor, which can turn your clips into a short video and share online straight away. • For business use, making professional videos for marketing or promoting products. If you have money to spend, you may either hire someone to do this or buy more expensive software than VideoPad. I consider VideoPad is the product for the beginner with a low budget. • For the rest, such as me, or you, if you are still reading this, who want to make some good quality videos for more than just personal sharing, and want to post it on Youtube, maybe for your small business or your website. Just like tons of videos on Youtube. You may already know that lots people make the video blogging for living by posting videos online and earn money from advertising and selling video downloads. If they can do that, why not you? Once the purpose is clear, what are the requirements when choosing a video editor? Some software may produce higher quality than another, but it can take the time to learn their features. When I started to make home cooking videos, I just wanted to get my video done first to see how it worked. Get it done first, becuase we can always learn and improve later on. We all love free stuff, but the free product comes with limited results. 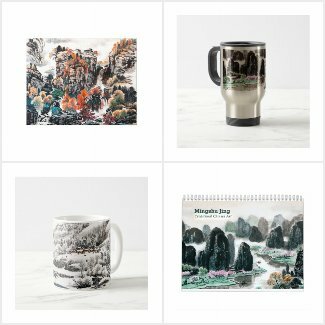 I know if I pay, it would save my time and give the quality I want. So I have no complaints about paying it. It is how a business works. No business can afford to give freebie all the time. I like VideoPad is just one off payment rather than recursive payment, such as pay monthly or annually. There are online editing software paid monthly, but If you do not produce video very frequently, it might not suit you. I try to make about two videos each month becuase I only work on this site in spare time. Therefore one off payment suits my case. So far I am happy with the quality produced by VideoPad. Maybe by investing for a more expensive device or software can improve the quality more, but I personally like the authentic feeling from the home cooking environment, nothing luxury or extremely tidy, but it feels real. Sometimes I even ignore Youtube editor's suggestion for editing camera shaking, because we are not shooting in a studio instead it is in our own kitchen. I want to show how real home cooking looks like. There are mainly three areas you need to consider in order to edit your own home videos. I am trying to explain in details. For those who know one or two things about video editing, you may skip this section. To make things easy to explain, I made a figure here. First, you need the equipment to capture the video. This is considered as the input for the editing software. The video format is different depending on what equipment you use to capture video. Why is it important to know the input format? Because you want to make sure that the video edit software can process the video you captured, the more format it supports the better. So when you check the video editing software, the supporting data format is one thing you must check. Some free video editor may only process certain types of file formats. If a video editing software does not support your video format, then it is not suitable for you. For my case, I have videos recorded from mobile and tablet (.mp4 format), or from the compact camera, which is the AVCHD video (high resolution) in .mts format and .mpeg format. Occasionally I also took some recordings from my DSLR camera, which is shown as Quick Time Movie (.mov). Therefore I need a video edit software can work for all those different types of input formats. At the beginning, I tried Windows Movie Maker, which is free but it cannot support all my video formats. There are tools for video format converting, however that means it will add extra step for video editing. For the output format, I normally use .mp4. At the beginning, I tried .avi as I remembered it was produced by free version VideoPad, (note, my case was few years ago, so this might have changed now). But I soon found out that the size of the .avi video is huge which is not convenient to store and upload. If your purpose is to upload to Youtube, you can check supported formats for Youtube here https://support.google.com/youtube/troubleshooter/2888402?hl=en. Make sure your video editor produces the output format is supported by Youtube. Do you have special requirements for your videos, or just want some basic features to make a video for Youtube, such as trim, combine, adjust for brightness, contrast, speed, and add text. I haven't had any issues in order to make a video by VideoPad. But I do want little bit more nice visual effect for my videos, which I had to search other video editor options. Here is a screenshot from my VideoPad interface, in which I have highlighted some key areas for video editing. Note, the version I used was three years ago. But I checked the recent version (in 2017), the overall structure remains the same, except the old version presents both clip preview and sequence preview on the same screen, but the new version you chose which one to display. It might have improved some other features but here I only talk about the overall interface. Once the video clip is taken, you need to import the clips into the editing software, files are shown in the top left. You may edit each individual clips, such as adjust brightness or contrast, or trim some part of the clip, or change the speed to make it play faster to reduce video length (unless your video is really good, you won’t catch the viewer’s attention if the video is too long). Once the edit is done, you can connect them together to a full video. You can see the clips connected at the lower section of the screen. The final version can be played at top right. Additional editing may include adding title, text or background music if you like (make sure use the music with copyright or Royalty Free if you want to make some income from Youtube). After the edit is done, you can export the video in the format you want. For my own experience, VideoPad is very straightforward to easy. No too much complicated technical things that I don’t understand. You can download the free version VideoPad to try it first. You will understand how easy it is. 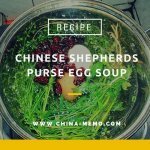 easy to use, short learning curve, has all basic features I needed to make my home cooking videos. For those who need the easy operating software with enough edit features to make videos for Youtube, VideoPad is for you. You can download VideoPad (free trail) first to see if that suits your needs. • VideoPad supports a wide range of video input, which is important because you don’t want to buy a video editor and then find out it cannot process your clips. • It offers many transition effects, trim clips, adjust of brightness / contrast, change of speed, add subtitles and text. Add audio files (as background music) or recording your own narratives. • Export in different formats: avi, wmv, mpg, 3gp, mp4, mov, mkv, gif, YouTube, iPod, PSP, Mobile Phone. • Easily share on social network. Save your login credentials to upload videos directly to YouTube, Facebook or Flickr from VideoPad. • An efficient tool for the beginner. Limited if the visual effect is something important for you. • Price: one off payment (not recursive payment), it may offer a discount on their website. Single license means you install it on one computer only. You can try the VideoPad free trail to test their features.